Combustion Efficiency: 75% with a wasteful, standing pilot in both units. The water heater is particularly inefficient as it loses a lot of heat up it’s flue pipe and is poorly insulated. Such water heaters have a 5-7 year warranty. To the original owner: Lifetime, stainless steel warranty. 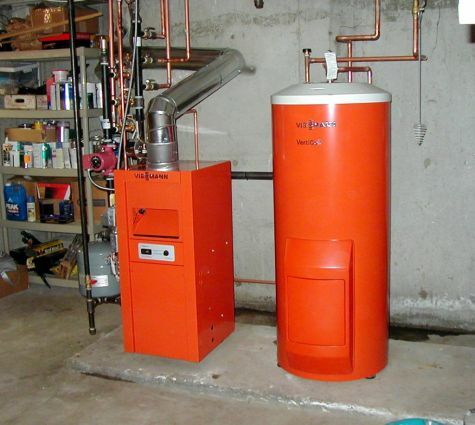 Viessmann Verticell HG53 Indirect Fired Water Heater. With electronic ignition, and no wasteful standing pilot lights. 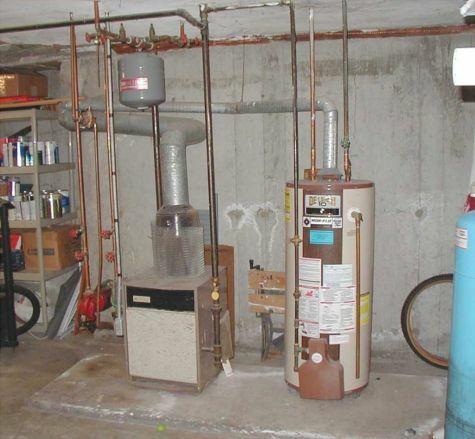 Note: The water heater does not have a flue and is much better insulated.